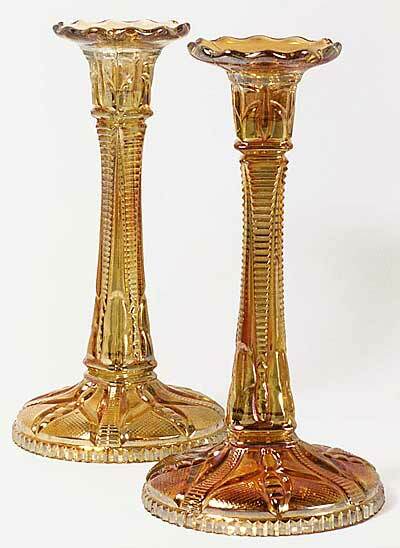 These candlesticks have an insect design on the top of the foot and are shown in a 1939 Riihimaki catalog. They probably date from somewhat earlier. A pair in marigold is worth $200 to $300.